The church dedicated to St. Bartholomew is Norman with a modern slate pyramid roof on the tower. Major restoration was undertaken in the mid 19th century by Thomas Blashill of London. The Rev. W.H. Lambert along with the Rev. A.F. Denham were responsible for raising funds, and the parishioners as well as people from neighbouring villages generously gave everything they could. 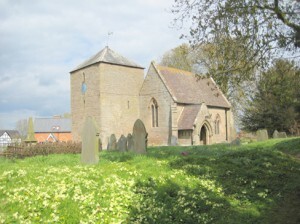 There was a large dilapidated western tower, with nave and chancel, which had been reconstructed in the 17th century from materials from a 15th century building. The wet clay beneath the foundations had caused settlement which had meant rebuilding of the tower arch. 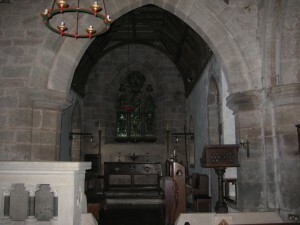 In the 14th century, a chapel with its own altar was added. 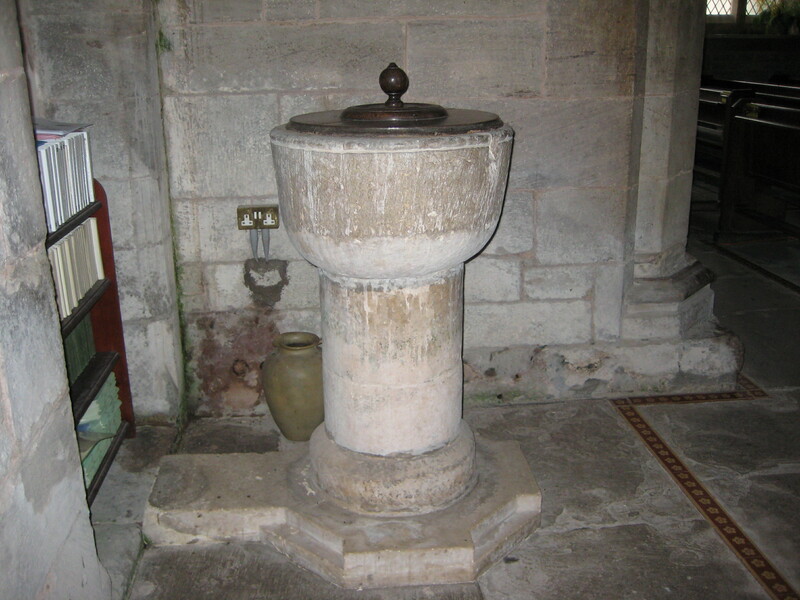 Within the south chapel lay the founder’s tomb and effigy, and an alabaster slab with male and female figures engraved, along with their sixteen children. Another pair of badly damaged effigies was on the chapel floor. A new roof was put on the south chapel and the north wall of the nave was rebuilt with a restored roof. A new south porch was built, and all the floors and fittings were renewed. The stone pulpit with marble columns was obtained from Brough in Yorkshire. Most of the woodwork was pitch pine, stained lightly, but the altar, rails and lectern were of oak. Godwins tiles were used for the floor, and the church was heated by a Gurney stove. The restoration of the tower could not be included in the work as there was a huge amount of work to be done on it and the funds just would not stretch to it. In 1867, after seven months of closure, this church was formally re-opened. The weather was atrocious on the appointed day, but nevertheless large numbers of parishioners attended.